James is an Estimator for Cougar USA. 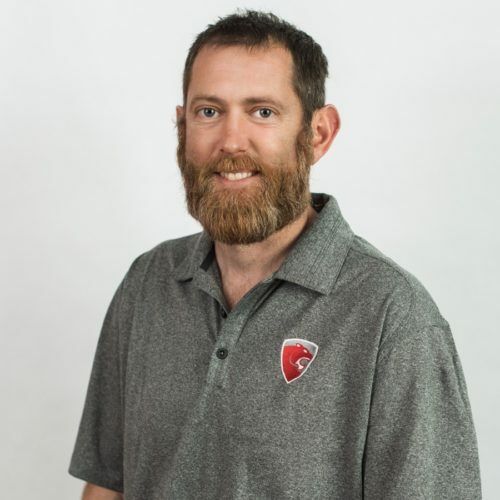 He has been with Cougar USA since 2013 and brings over 25 years of experience in the plumbing industry to his role here, including estimating, fabrication, purchasing and production management. James completed two years in the apprentice program with Plumbers Local Union 68 and is a former member of the Pipefitters Local 211. He maintains an OSHA 10 certification. James excels at problem-solving and in “making things work” to get a quality product to our customers as promised. James is married and has two children. He enjoys the outdoors with activities such as hunting, fishing and playing golf.